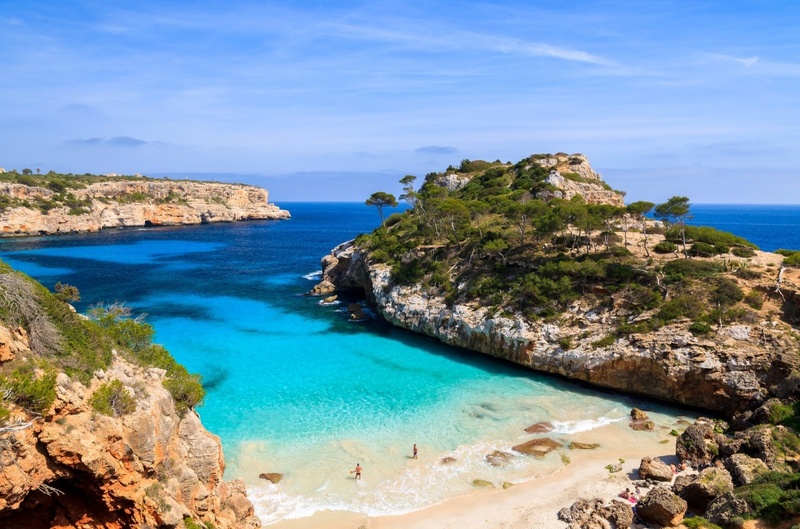 The Balearic Islands have a huge number of incredible beaches of clear turquoise water and fine sand caves below incredible cliffs. These beaches have unique personalities. Every year a great number of tourists are coming to these amazing islands to enjoy what the Mediterranean sea has to offer. Each island of this archipielago has a wide variety of beaches where to spend an unforgetable holiday time. In Majorca we can mention Cala Formentor Beach, located on the northwest part. It is one of the most picturesque beaches and is very popular even though it is only 1,000 meters long and 12 meters wide. Another beach becoming popular year after year in Majorca is Es Trenc Beach, the last big sandy area without urbanization and good preserved in the island of Majorca. In Es Trenc you can admire the contrast between sand and vegetation. Finally, a beach worth mentioning here is Banyalbufar, an amazing cove where you can appreciate the Tramuntanta mountain range. 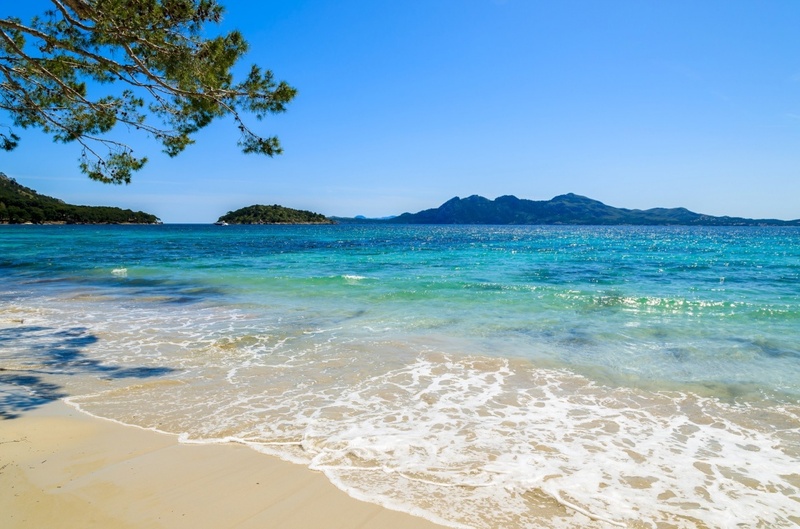 Majorca has a never ending list of beaches, but we can also mention here Cala San Vicenç, El Arenal, Cala Santanyí, Cala Ratjada or Alcudia Beach. 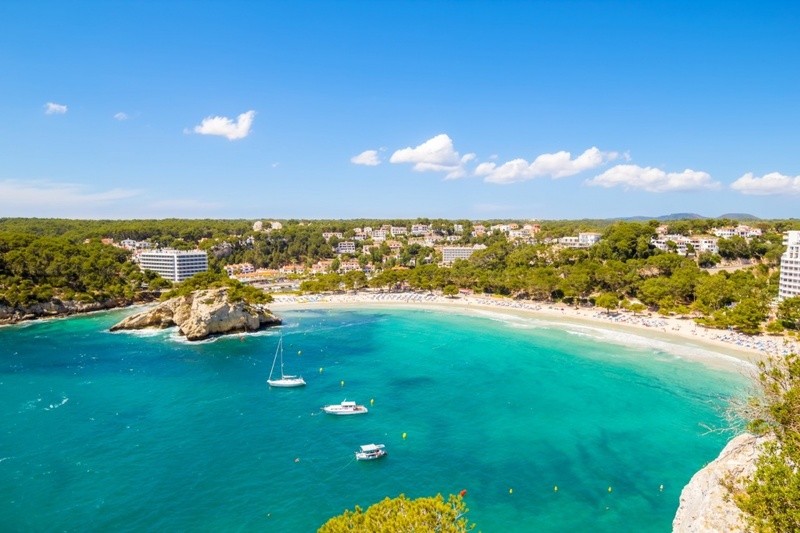 Menorca has maybe less massive touristic beaches than the island of Majorca, and there are more authentic spots where to spend a nice day between family and friends. You will relax as ever in the incredible virgin spots that Menorca has to offer. Among the amazing virgin caves of Menorca we can mention Macarella, Mitjana, Son Bou, Son Saura or Trebalúger among many others. To mention some of the urbanized beaches, Cala Galdana or Punta Prima are also incredible spots. All these beaches offer an amazing landscape while just lying on the beach and sunbathing or swiming in the transparent waters of the Mediterranean. On the north part of the island we also find Cala Morell, especially good to dive. 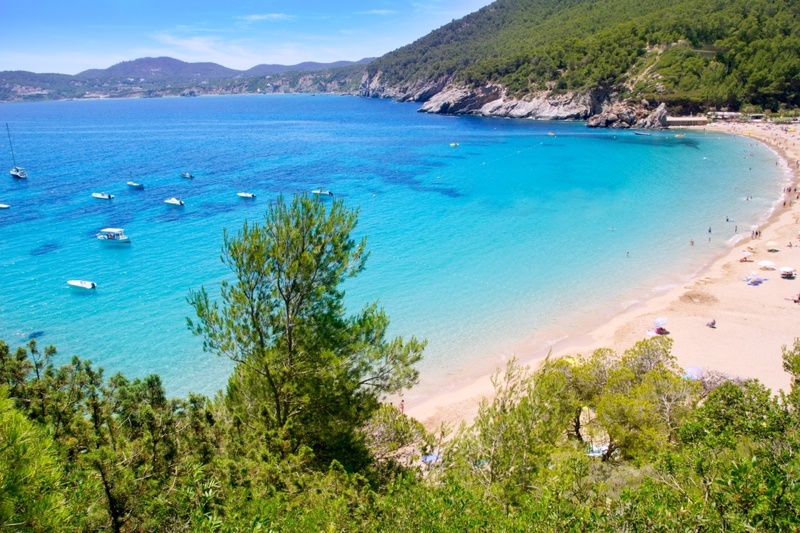 Ibiza has 210 kilometers of coastline with more than 50 beaches and coves. You will find both massive beaches or hidden places where you will enjoy the crystal clear water almost alone. Among the best beaches we find Cala Gració, which, due to its size, is the perfect place to go with your family. Next to Cala Gració you can also find Cala Gracioneta, a smaller cave of fine white sand and shallow water. Cala d'en Serra is another beach worth mentioning located in a magnificent environment, surrounded by cliffs and vegetation. Some other good beaches are Platjes de Comte or S'Estanyol. 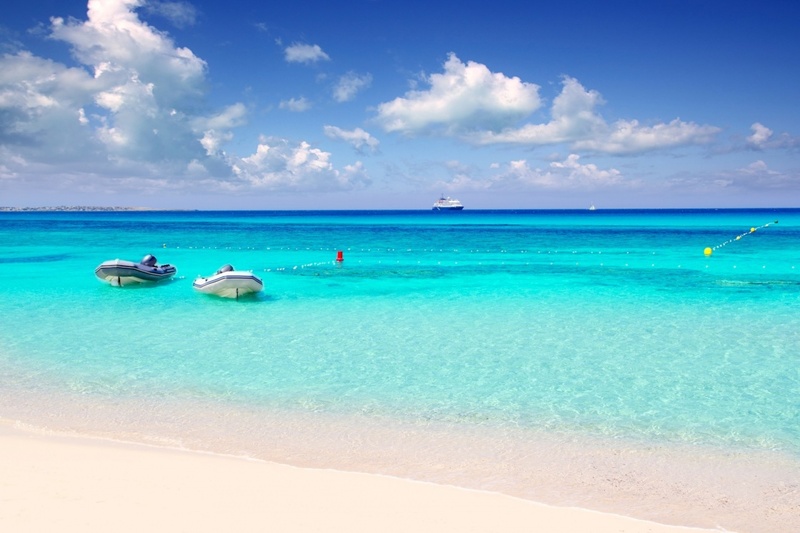 Although being the smallest island of the Balearics, we don't have to forget about Formentera, where you can relax as any other island with the large variety of virgin beaches. Here we can mention Caló des Mort, Illetes or Sa Roqueta among many others that will leave you breathless. Experience the feeling of swimming in the Medtierranean and you will never forget your holidays.